Are you moving soon? Before you start packing bags there is a lot to think about, like whether to buy or rent a home, what is there to do in your new home, what are the people like, where are the best schools for my family, what do the neighborhoods have to offer. Think about all of the stuff you want to take with you and consider downsizing a bit. Go through your current home and think of things you may not use often or have not used in the past six months. Selling items you will no longer need is also a good way to help out with the expense of relocating that may not be reimbursed, its also nice to have cash in pocket to purchase things along the way. Another thing to think about when moving is your furry friend. Will Fido be making the move with you? Find out if there are any laws in your new home. It is also never too early to begin searching for your next home. Contact a local real estate agent to help you find the perfect place from miles away. Some things to do right before you make the big move are get copies of your children’s school records. Get copies of the whole families medical and dental and immunization records including Fido because you don’t want to have to leave him in quarantine when he arrives. It is also a good idea to let a friend or family member know the route you are taking to get to your new home and when to expect you will arrive there. When looking for your new home first you will need to decide if you will rent or buy your next home. How far are you willing to commute to work? If you have a family making the move with you what do the neighborhoods have to offer and how close are they to area schools? 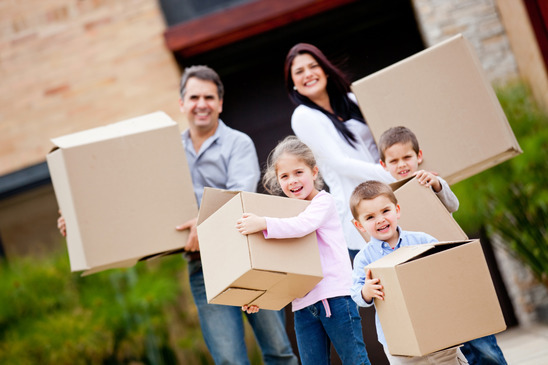 These are just some of the basic tips when you are dealing with relocation. Want more information? Call our main office for tips and relocation packets on moving and packing when moving or relocating.